Need a little bouquet to brighten your day? Try creating these Impressionistic style flowers inspired by the artist Berthe Morisot. Simple art materials, such as tempera paint, construction paper and paint brushes are the tools used to create your own mini masterpieces. My sweet artists, ages 8 and 9 years, created these in a 50 minute session. Berthe Morisot was an outstanding Impressionistic painter who created landscapes, portraits and still-life paintings. She was often critical of her own work, and was not allowed in many places her male friends were allowed. Even though Morisot was discriminated against, that did not stop her drive to become a successful artist and leave a permanent mark on French art. We enjoyed making these and I am confident your little artists will too! Sign up for our newsletter to get your FREE PDF download of this lesson. Are you interested in getting free art lessons and handouts? Want helpful tips and the latest blog posts? 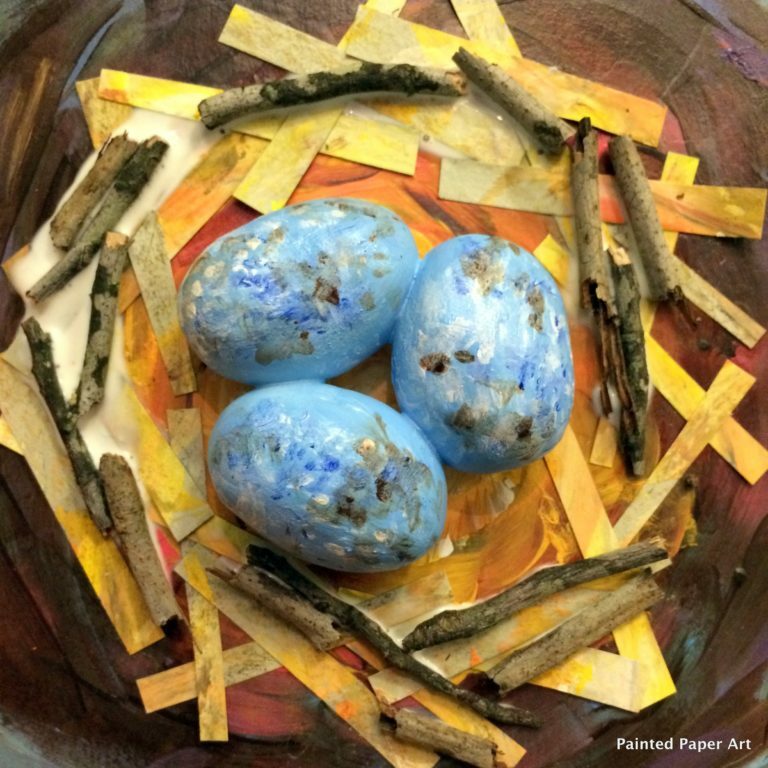 Sign up for the FREE Painted Paper Art Group newsletter. This looks just wonderful. Thank you for sharing. I just wanted to pop in and say how grateful I am for you sharing these lessons. I’m looking forward to creating with my little artists. Your Morisot art project is simply beautiful. I signed up for your newsletter and was sent the plans. I have misplaced them and I am wondering if you would be so kind as to send them to my email again? I would appreciate it greatly.